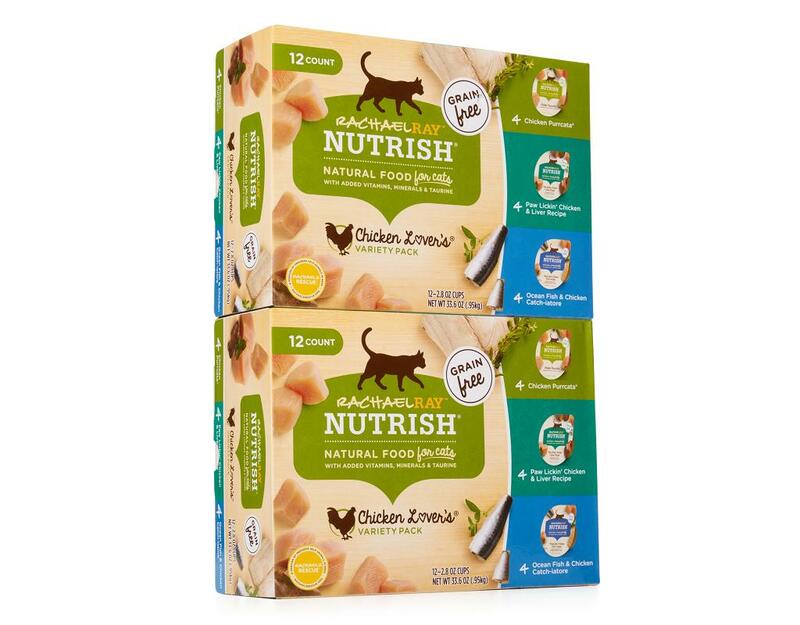 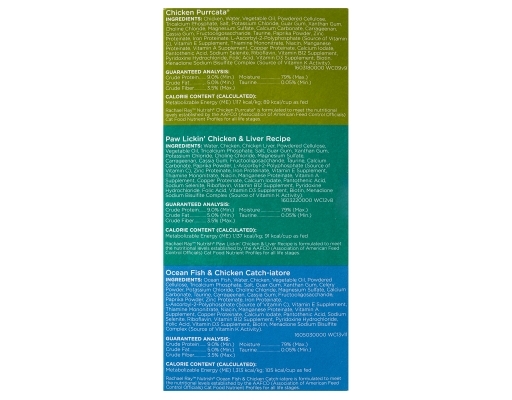 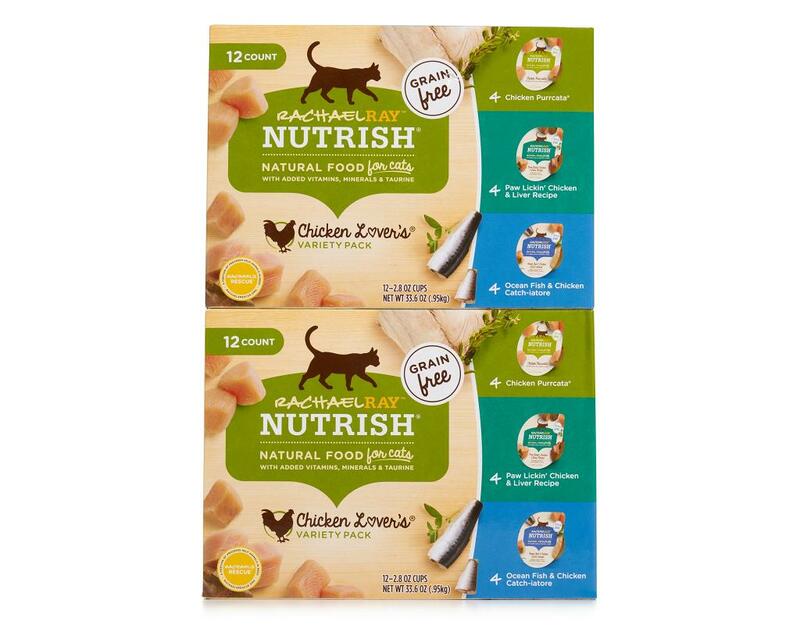 Wet food for cats with no grains, glutens, or fillers. 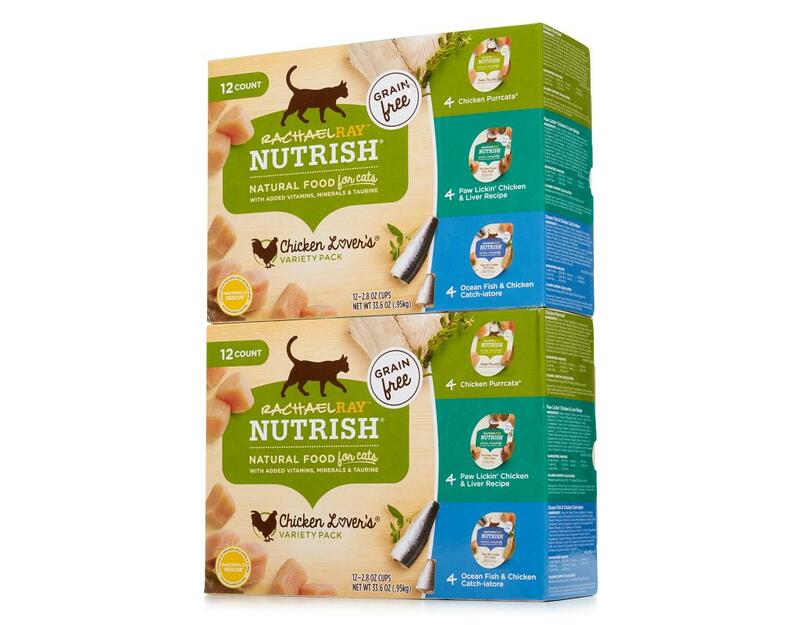 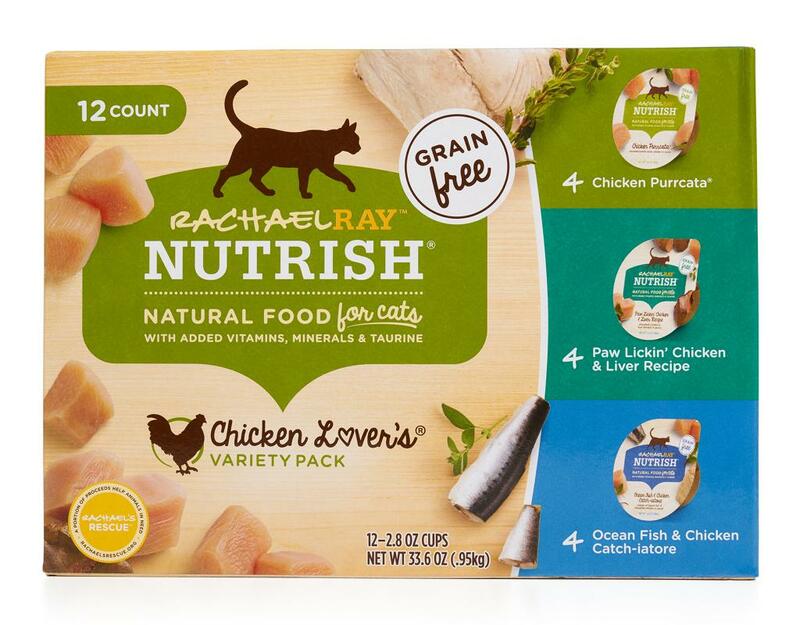 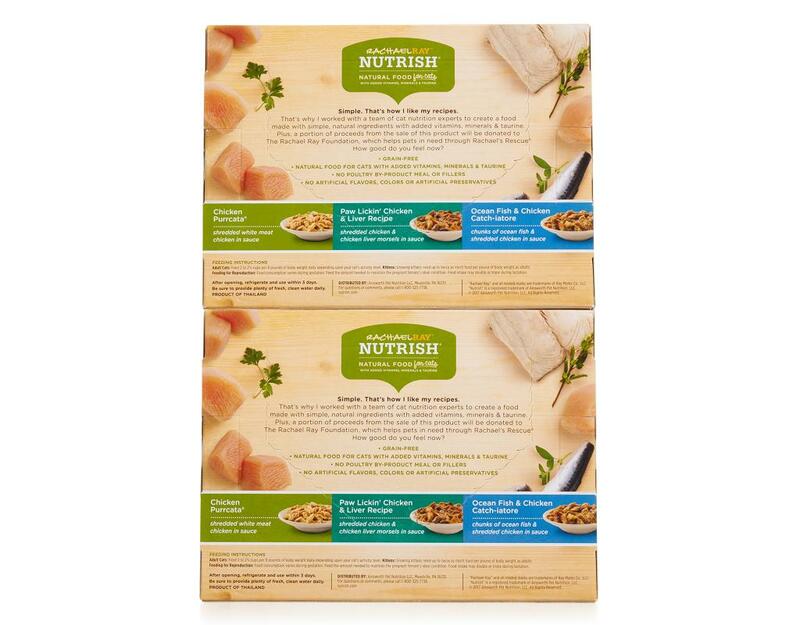 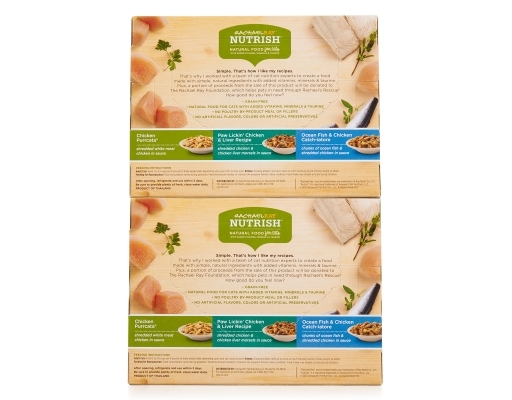 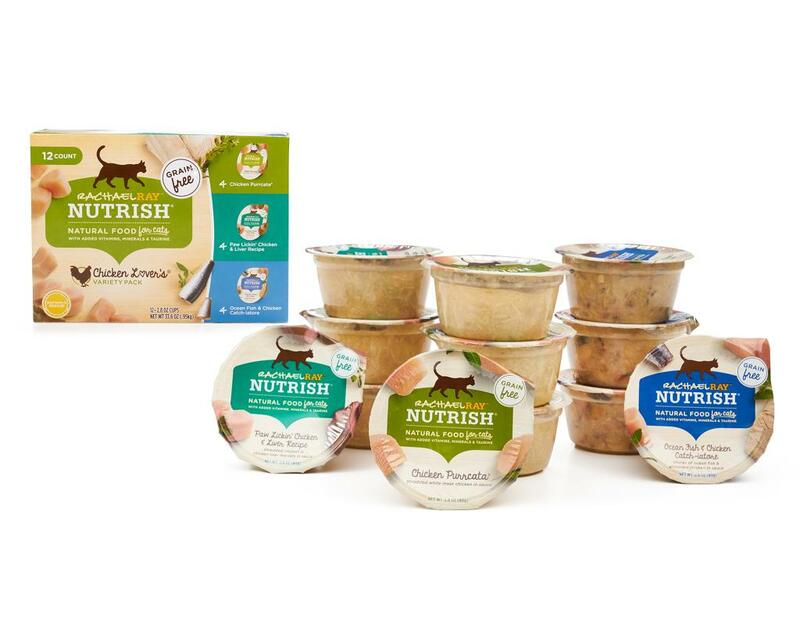 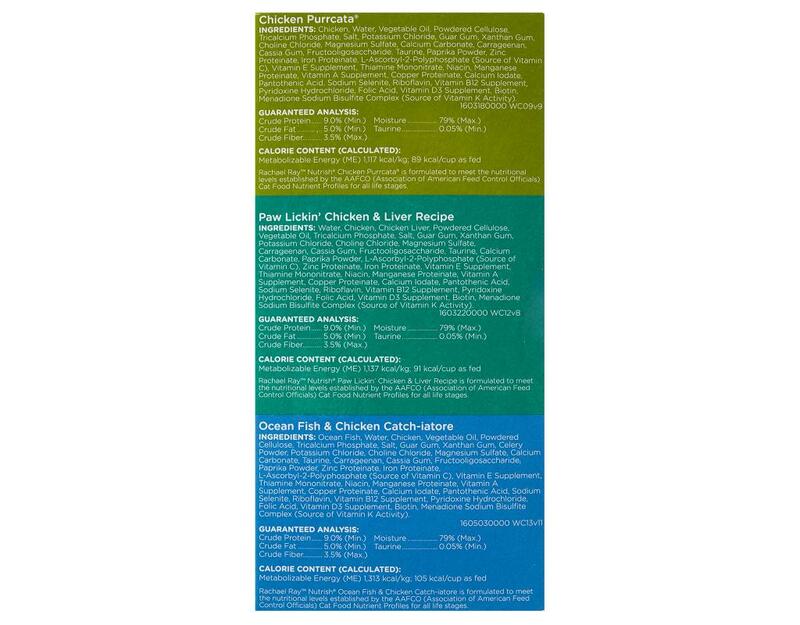 Rachael Ray's Chicken Lover’s wet food for cats variety pack satisfies your cat’s hunger with an assortment of delicious, wholesome recipes inspired by Rachael’s kitchen. Every yummy recipe is made with real chicken to keep your cat happy and healthy.